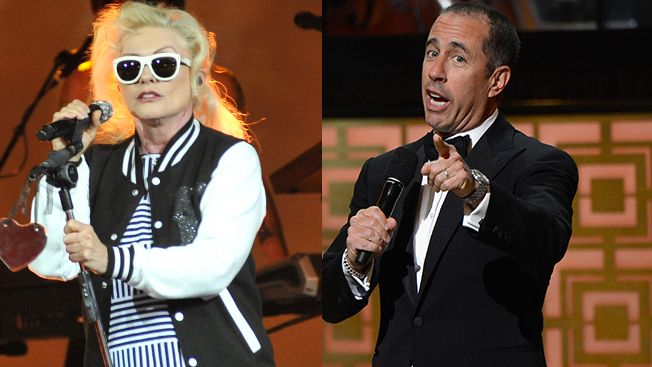 The Clio Awards, one of the advertising industry’s most prominent creative competitions, announced today that it will honor comedian Jerry Seinfeld and the band Blondie as its 2014 Clio Honorary Award recipients. Seinfeld will take home the general award while Blondie will receive the Music Honorary Award—the first given by the organization’s music branch, Clio Music. Both honors will be presented at the 55th annual Clio Awards ceremony in New York on Oct. 1. The Clio Honorary Award is generally given to a figure outside the advertising community whose creativity inspires those within it. Past winners include musician will.i.am, culinary luminary Anthony Bourdain and photographer Annie Leibovitz. The organization mentioned the band’s recent album, Ghosts of Download, and a forthcoming coffee table book from Rizzoli as examples of the band's thriving presence in the entertainment industry.